Sometimes I like to mix things up and wear an outfit that is a little different from my typical style. I like to experiment with different looks and try new things because it’s fun and I think fashion should be fun. for this look I actually stayed pretty basic but in a different way from my usual hat and dress combo. 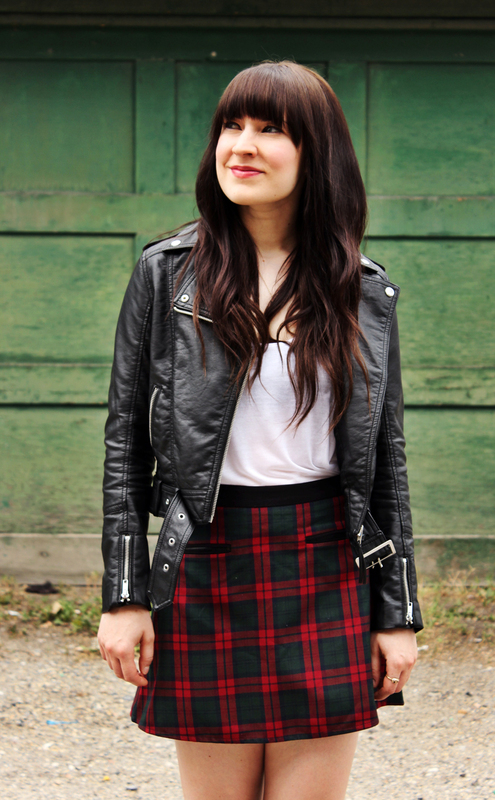 I paired a simple white tank with a plaid skirt and a faux leather jacket. Leather jackets adds a lot of edge to any outfit they are paired with. If I switched out the jacket for a little cardigan the look could easily go from edgy to feminine and cute.